Webcam – Images en direct de The Guest Ranch! Less than 100 years ago, America relied heavily on horses for transportation and work. With the invention and widespread use of cars and tractors, the need for horses greatly diminished. Maintenant, farms and ranches that use draft horses for work are rarely found, and the hobby is described as a lost art. Cependant, there is still a nostalgic feeling that most of us get when we see a strong team of sturdy horses pulling a wagon, or decked out in their flashy harness. We purchased Goliath with his partner Sampson when they were 3 et 4 ans. Brent and Kari put a lot of time and work into making them a great team, and they were young enough that they needed regular work. Kari and Brent took them to Colorado when they lived there in order to work with them consistently through the winter. Both horses, but especially Goliath, would lunge into the harness when he was first hooked to the wagon so the start was a bit rough! They did not like to stand still while they were hooked onto something either. Kari and Brent hooked Sampson and Goliath to every piece of farm equipment that was available—plows, wagons, drags, et plus! The horses would work up a good sweat and then Kari and Brent would make them stand… and stand… and stand. Eventually they came to appreciate standing more. By the following summer, Sampson and Goliath and Kari and Brent were a great match. Cependant, in his free time Sampson was a regular Houdini and eventually, he got himself into a mess he could not get out of, and Kari and Brent could not help. 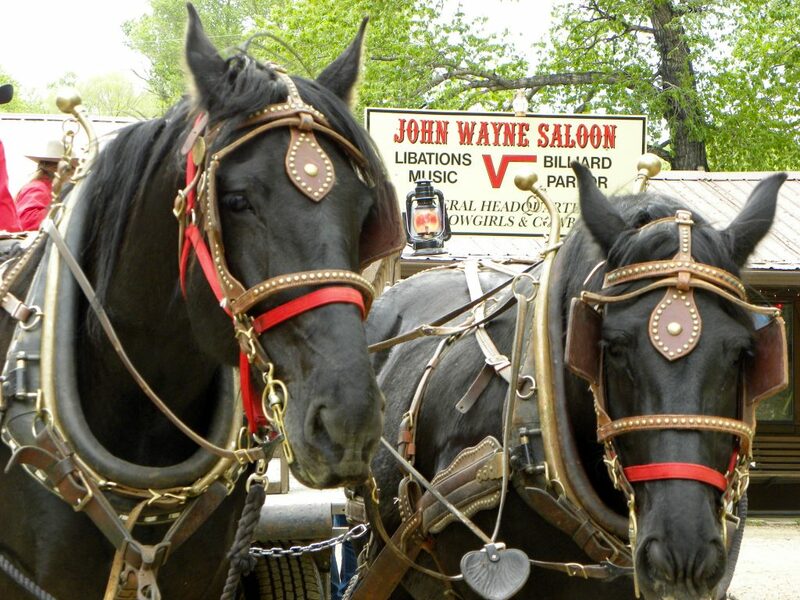 The Vee Bar offers wagon rides weekly as part of the ranch d'été package. 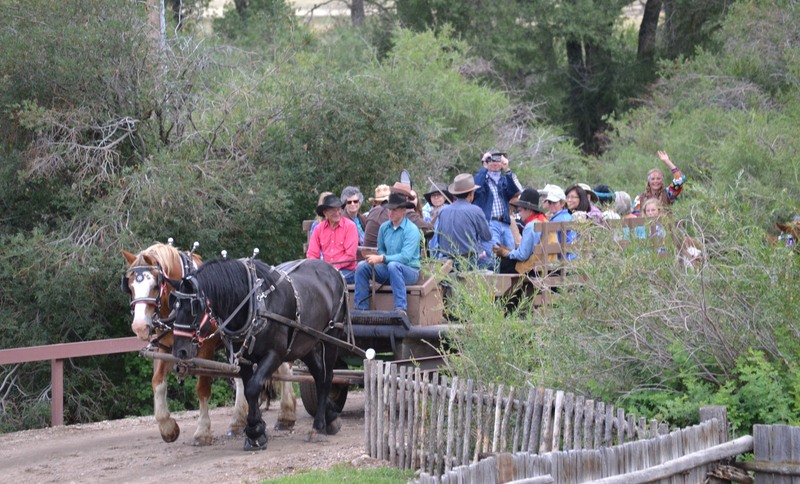 To learn more about wagon rides the rest of the year, view information here. 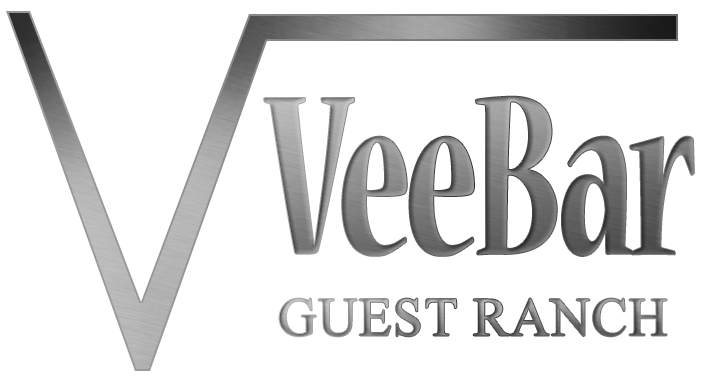 Le Bar Vee est sur Facebook! Rejoignez notre liste de diffusion pour recevoir des bulletins occasionnels et / ou B&B promos. Nous promettons, Pas de spam! Découvrez notre Archives du bulletin!